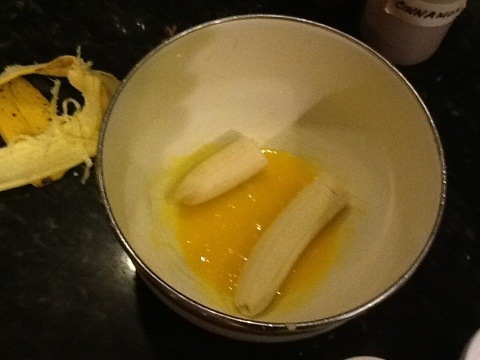 In a separate bowl, beat the egg yolks and add the banana. 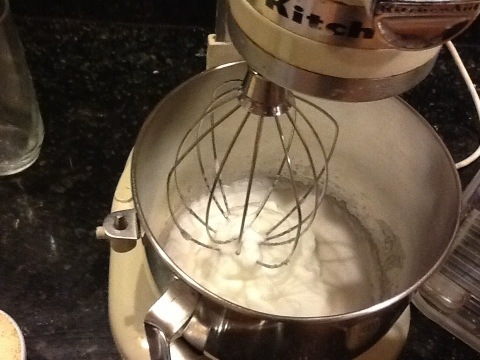 Mash the banana with a fork, then add the remaining ingredients except the egg whites. 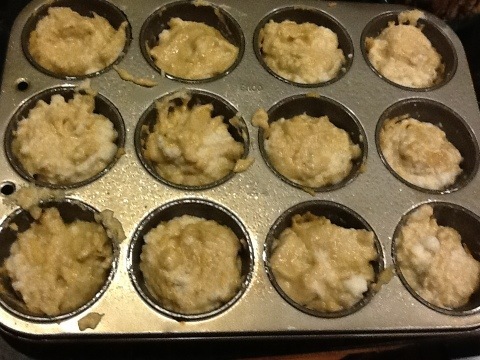 Then pour the batter into muffin tins. I did not have any muffin cups, so I just greased the tin. 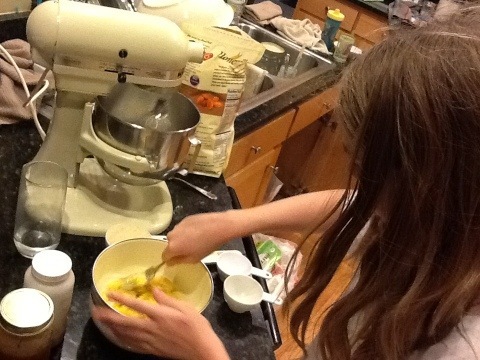 They still came out without too much trouble. 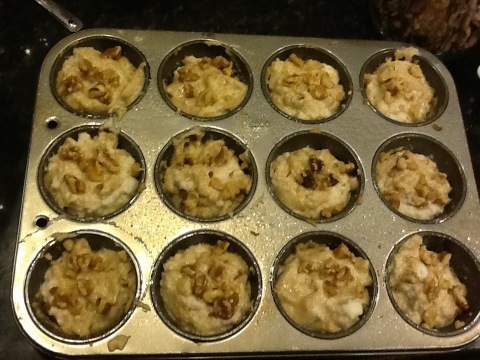 Top the muffins with walnuts. 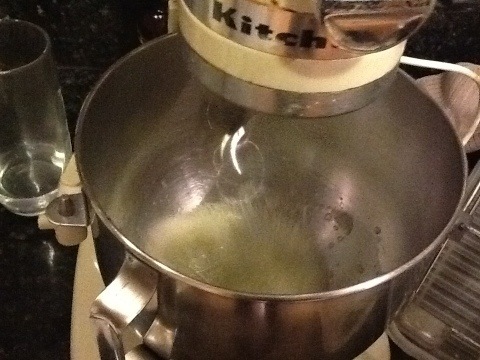 Bake for 50-60 min. Mine came out slightly burnt after 50 min, so I will reduce the heat next time. They still were very tasty. Tom liked them so much he had seconds! P.S. 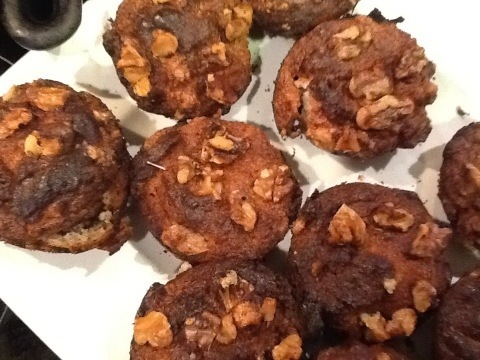 For those who are counting, these muffins have only 165 cal each!